GENUINE 10th Doctor items on eBay! 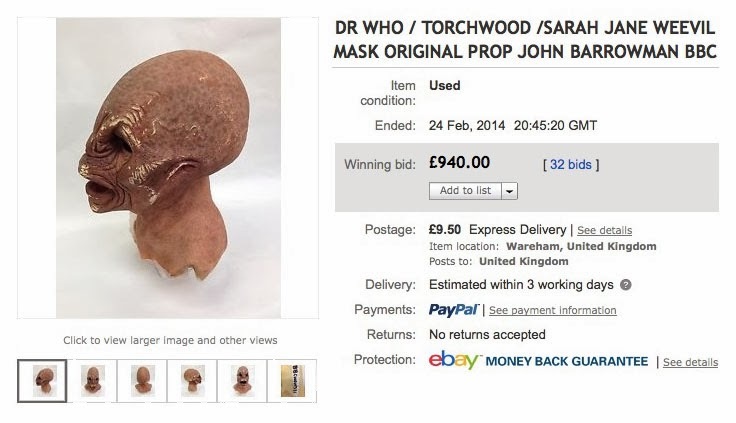 I haven’t seen many screen-used Tenth Doctor items on eBay for a while, but this Torchwood mask was in the Bonham’s sale only a couple of months back, so I thought it worth mentioning. 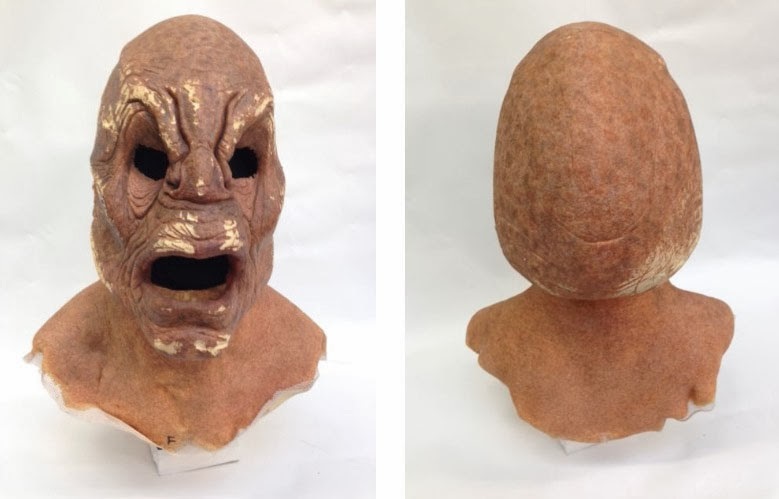 VERY RARE .........WEEVIL mask ORIGINAL made by Millennium effects for the BBC. TORCHWOOD SERIES 1-3 2006 - 2009 WEEVIL PROSTHETIC MASK. 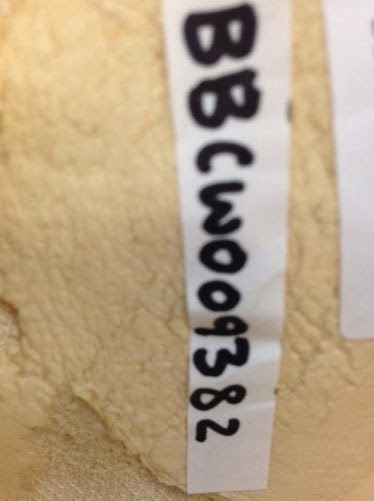 FOAM LATEX WITH BBC NUMBER ATTACHED TO INTERIOR. All paper work from sale can be included.